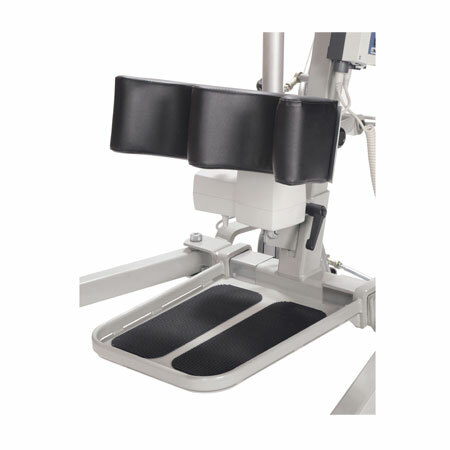 This stand-assist lift by Drive Medical provides patients with safe, stable assistance while standing, transferring or toileting. 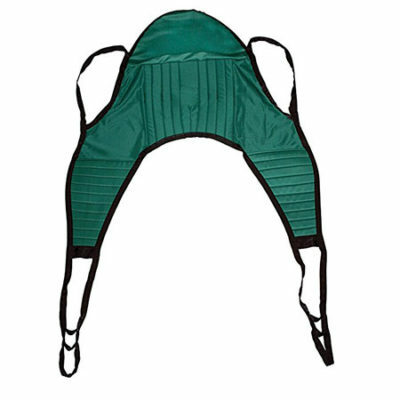 A extra-wide, non-skid foot plate forms a stable base for foot positioning and a soft, padded adjustable leg support includes a support strap to secure legs. 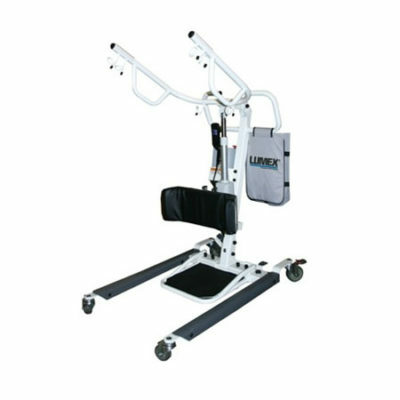 The lift includes a convenient four sling attachment points that enable the lift to accommodate a variety of stand-up sling designs. The motor includes a removable rechargeable battery that charges quickly to eliminate down time. The battery, complete with a charge meter, will alert you both when charging is complete or when it may be necessary (below 50%) with an audible tone. A 4.5″ under-bed clearance allows the lift access under most long-term care beds. Unit includes: removable rechargeable battery (Model #13258); external charger (#13255) and wall-mounted bracket (#13260). Simplify transfers with this Stand up Lift. 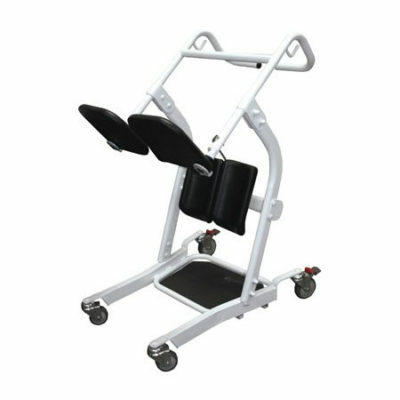 The Stand-Assist-Lift provides a quick, safe way to assist those who have trouble standing. 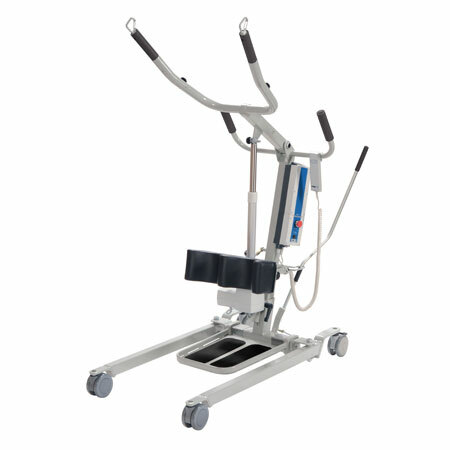 Because stand-up lifting is less stressful for the patient, and quicker and easier for the caregiver, the Stand Assist Lift simplifies dressing, toileting and transfer routines.